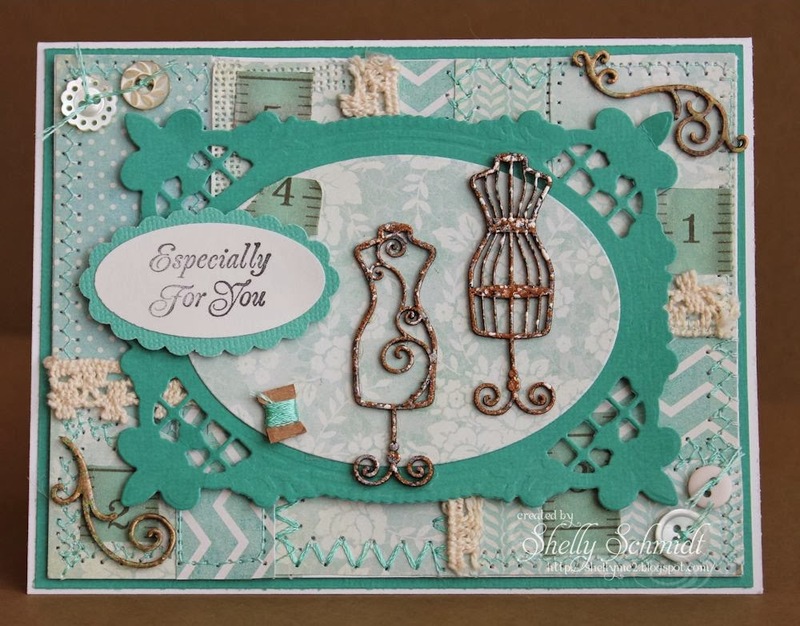 It's another challenge at Sweet Stamps ,and this week we are creating with Hearts and Lace. I started with Kraft cardstock. I inked up the French Writing script image with Black Memento Tuxedo ink, then added some Washi tape and ribbon with a bird. I layered corrugated cardboard in white with Washi added to that as well. The Burlap heart is a Technique Junkies technique called painted burlap. I used Pink Smoosh to add color. 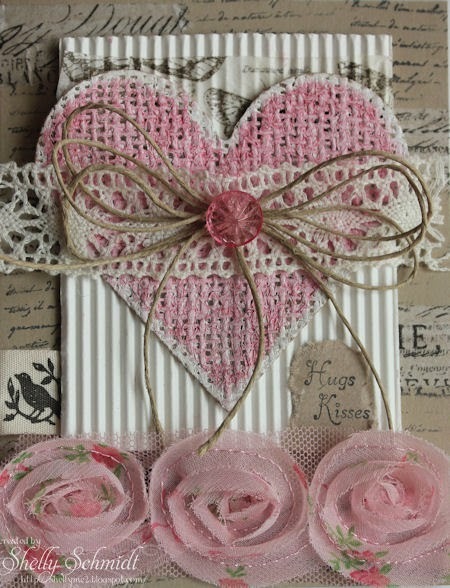 I added the sentiment in Kraft and the tulle roses. Can you tell I love to create with a Vintage style? Here is a direct link to the Monthly Challenge as well- 1/15-2/14- Kissing. You have a chance to WIN- winners drawn by Random.org. 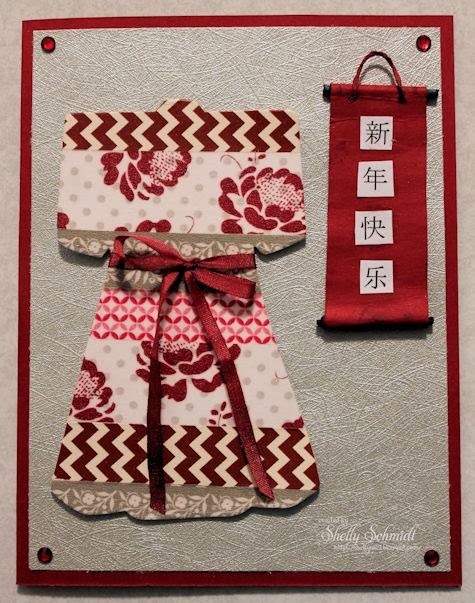 I thought it would be so fun to make a card for Chinese New Year (Which is on 1/31). I am in Asia vacationing with my daughter- I will be back in early Feb- so if you do not see me stopping by your blog...that is why : ) Please say a prayer for us for safe travels! 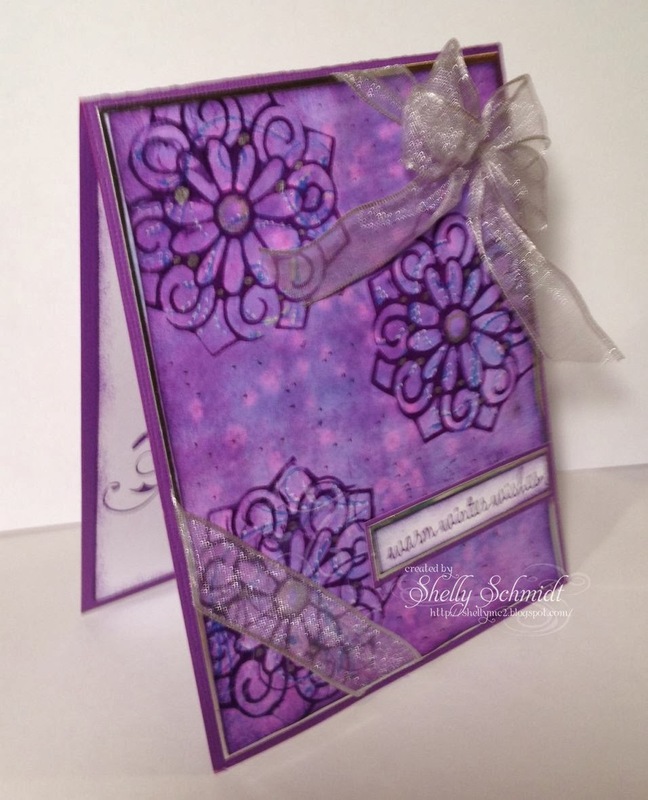 It's Tuesday- which means its challenge day at Sweet Stamps . Our challenge theme for this week is Anything Goes . 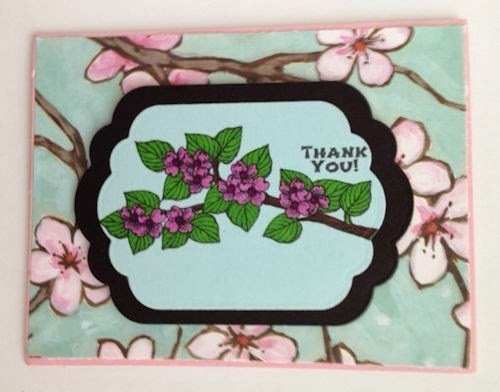 I had a blast playing with some new supplies from Sweet Stamps. For those who know me for a long time, you know I used to sew and smock alot- Oh the smocked dresses and matching American Girl dresses...... I have so many sewing friends from over the years- so could not resist the Vintage Dress Form Bookboard Accents set : ) I used DP and made a Crazy Patch background- even added lace and vintage buttons, plus some measuring tape Washi tape I had on hand.I used a scap of bookboard and made a wood spool and wrapped it with some thread. Sweet Stamps is the new owner of Globecraft and Piccalo Accents. I had to play.....I used the Enamel Embossing Powder Adhesive over the bookboard, added the Enamel Embossing Powder (heated it first from the bottom) then heated it and added Glastique Gloss Finishing Glaze. Ohhh. the colors and textures are wonderful! 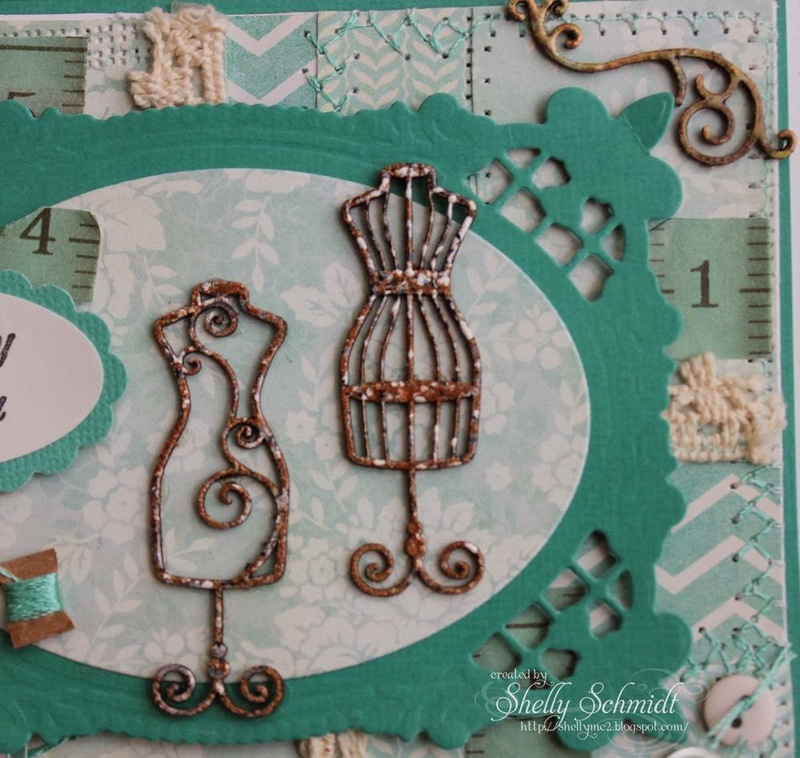 I used Brownstone on the dress forms and Vintage Copper on the flourishes. 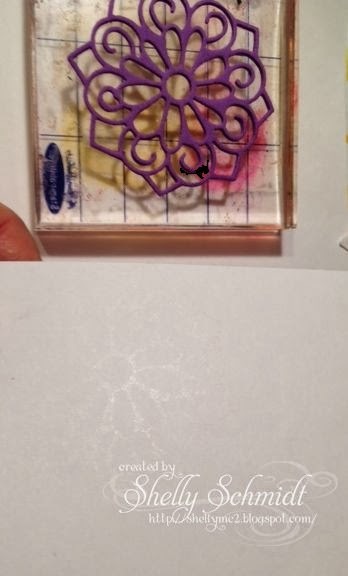 My SCS blogging group-Stamp Addicts- has a challenge this month to do the 'Salt' technique. I went back to the 6/2004 Technique Junkies newsletter- and did the Salt and Pepper Technique. I combined it with the Kissing technique- I did a 2010 TJ technique called Kissing with a Twist. 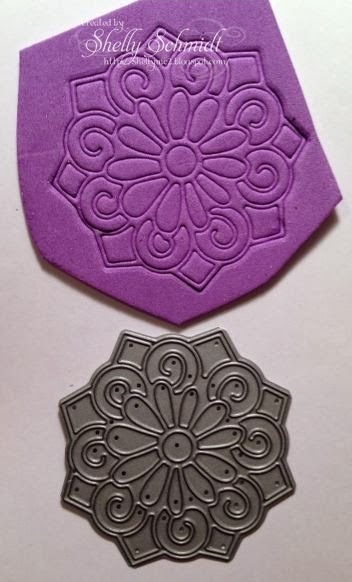 I used a SweetCuts die for my technique- and made a stamp with a foam of the die cut. I am including pictures- LOTS of pictures! 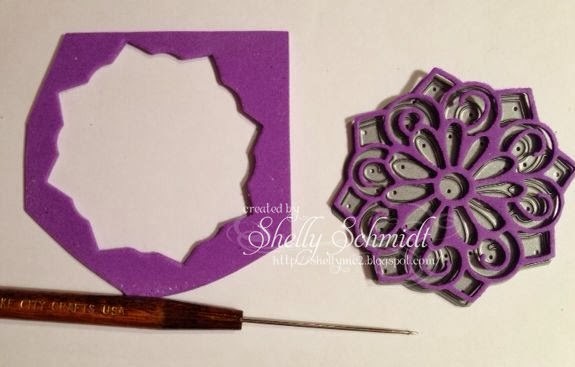 I leave the foam over the die cut, and gently remove the pieces with my 'pokey tool'. Now, you have a stamp- you will be able to use this over and over again. I inked up the foam with Embossing ink and stamped that on Matte cardstock. 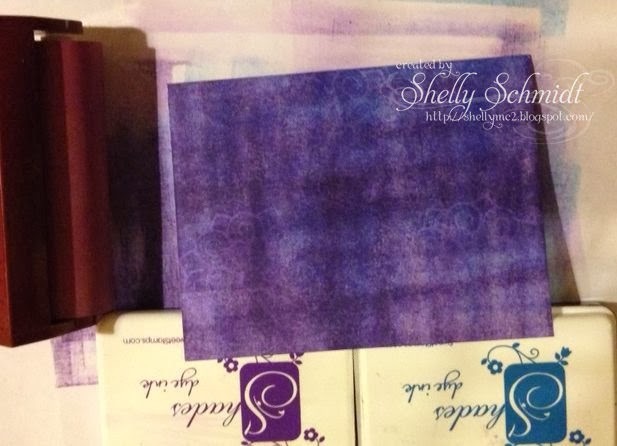 I brayered both Nassau and Forget Me Not Shades Die inks on the cardstock. I added Sea Salt and Spritzed again with water. ***DO Not dry the cardstock with a heat tool, let it air dry. I made a template of the die. 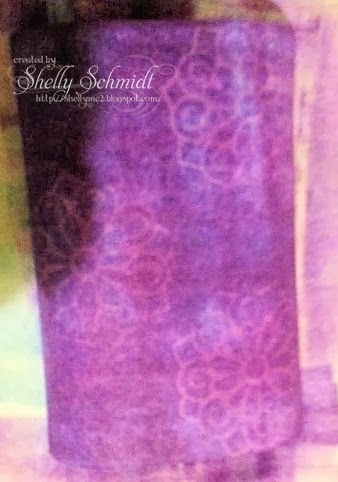 I stamped the foam image using Forget Me Not ink through the template. 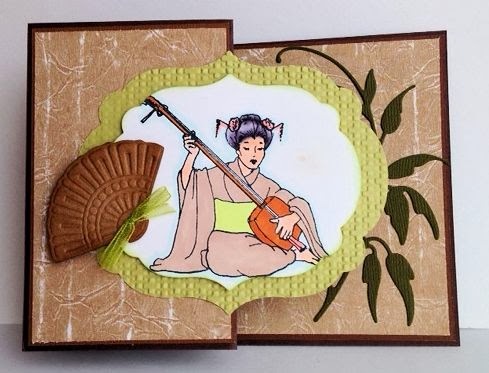 It is very easy to line up shape and foam stamp. 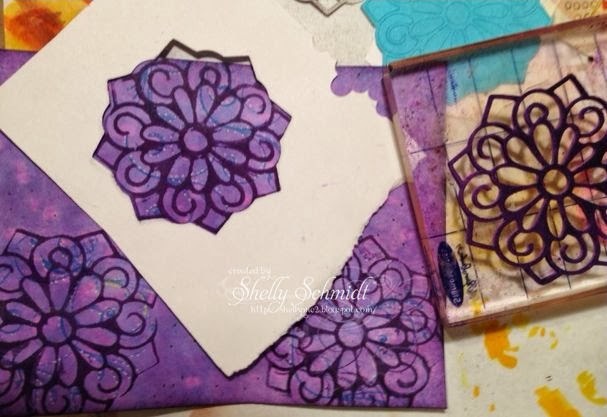 Next, I stamped a flourish image over the template in Nassau ink. I took a white paint pen and highlighted the flourishes. And finally- I added Smoosh in Silver for a final accent. And, thanks to the influence of my SS teammate Roxie AND my SA SCS Blog friend Jeanette- I just had to finish the inside as well. 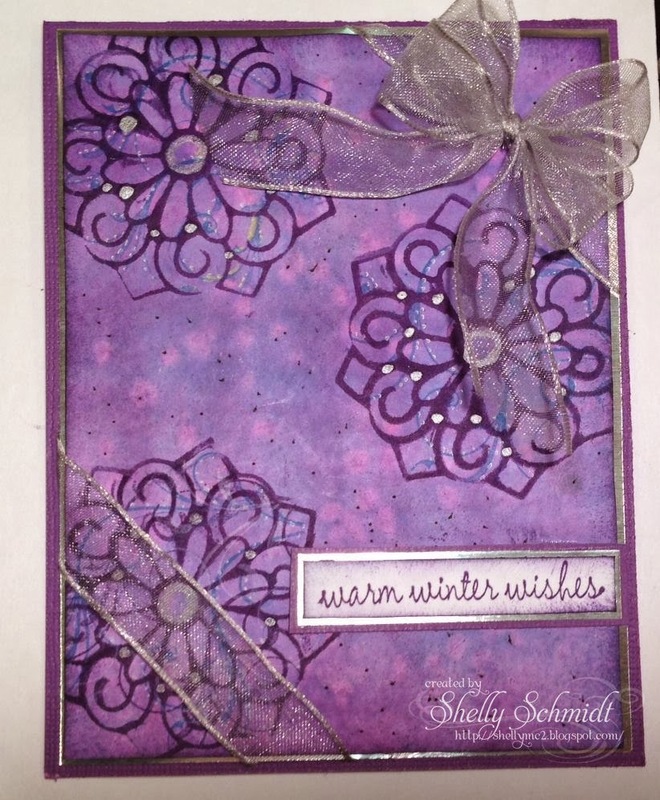 Here is a direct link to the Weekly as well- our current challenge is Winter Blues. You have a chance to WIN- winners drawn by Random.org. 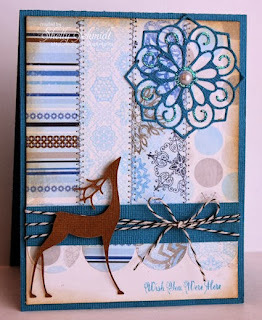 It's Tuesday- and at Sweet Stamps we are creating with Winter Blues in mind this week. 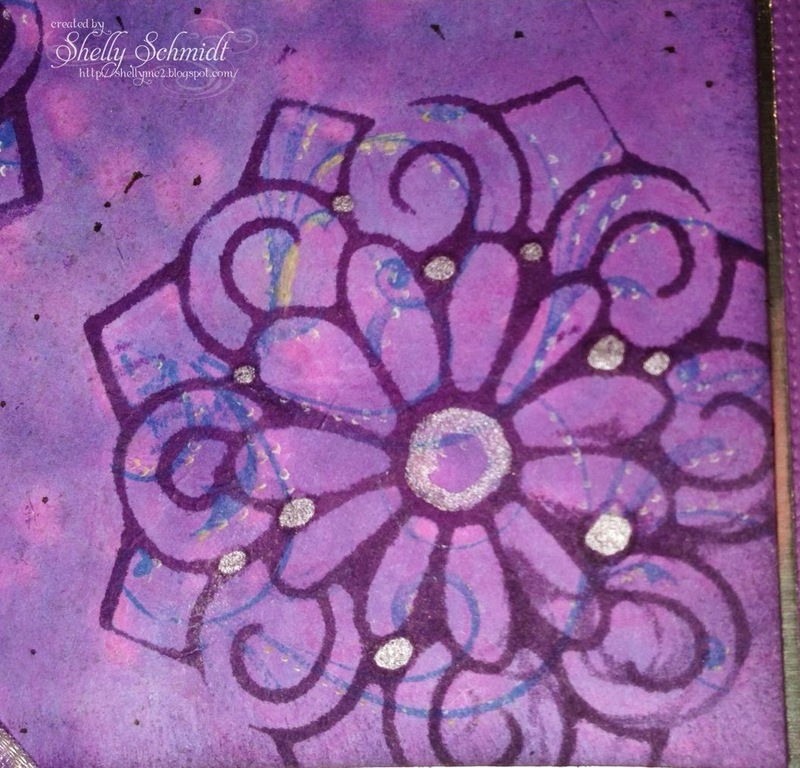 I had fun creating using a Technique Junkies technique called Circle Strips. 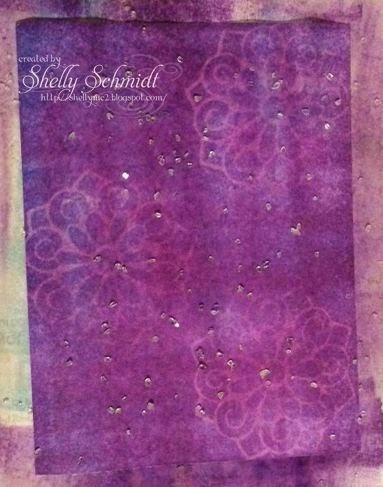 My background is Washi Paper- a gift from Paige-it has Metallic Gold in it which the picture does not pick up. 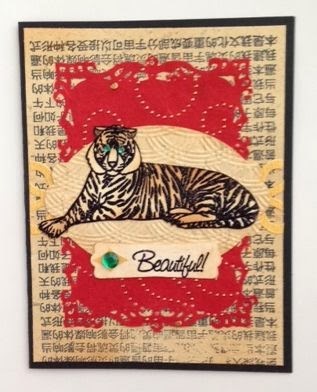 I used the subtle green color from the Washi for the background and for my MS punched border. 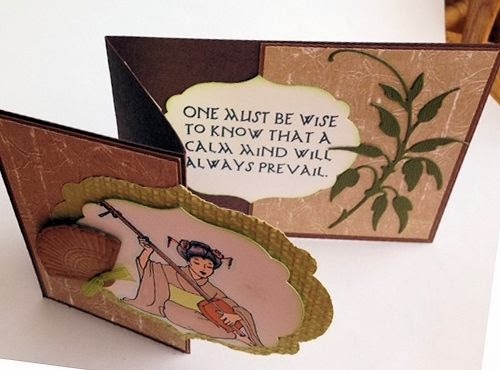 I added some metallic Gold cardstock by Paper Temptress for accents. 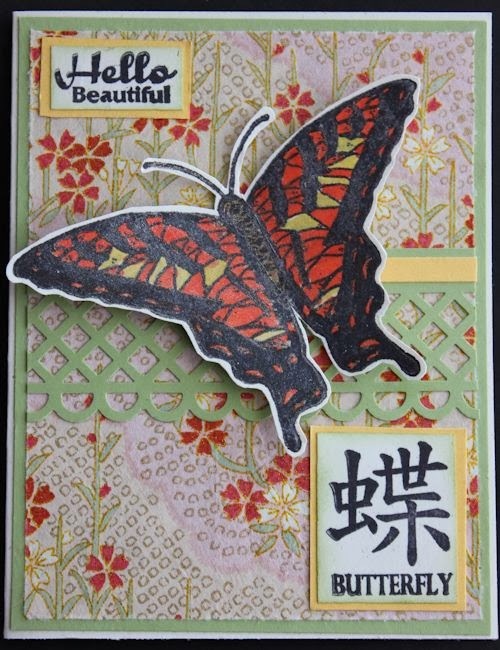 The butterfly is stamped, colored with Copics and I added Creative Inspirations Fairy Dust paint to add some shimmer. DDD: Out of This World!